Pens and pencils, backpacks and book covers...it's that time of year again. The kids are buzzing with joy at new school clothes and you're silently cowering in a corner thinking, "what on EARTH am I going to do this year to make it work?" 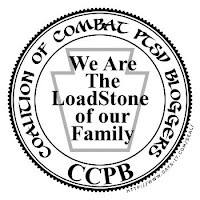 Some of us like to hide our spouse's (or our own) PTSD, TBI, and other injuries from educators, but for those who don't, Family of a Vet has developed a new solution for you! Washing away fears nationwide Family of a Vet is releasing it's brand new School Packet. This is the first packet available to everyone and anyone to help you keep your home running smoothly. It is coming to you in 2 stages - the "basic" packet and the expanded packet which will be available by Sept. 1st. To learn more about this new packet, helping your children cope with PTSD and TBI, and talk with those who developed them including teachers and veteran wives, join us for our Back to School Special - Educating Educators about PTSD on Tuesday, August 9, 2011 at 7:30 Eastern.